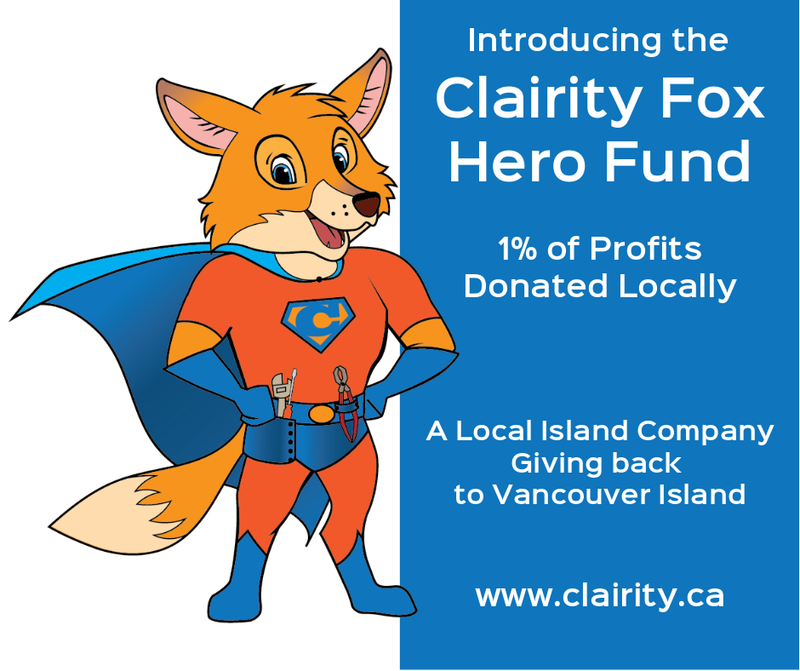 Find out how we are giving back to Vancouver Island with our Clairity Fox Hero Fund. Founded in 2018 by Neil Ballard and his wife Stephanie Ballard. 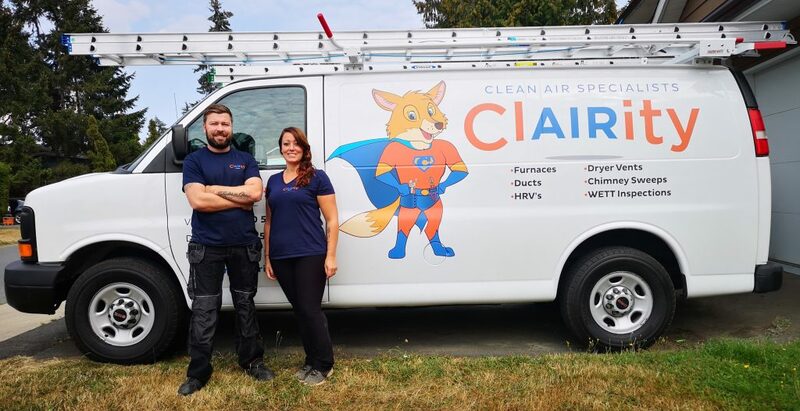 Clairity strives to raise the bar for duct cleaning and chimney sweeping on Vancouver Island. After years of working in the industry as a technician for several local companies, Neil has developed a wide array of skills while working on all sorts of systems from residential to large scale commercial jobs. Clairity has spared no expense to ensure that our company has the best tools and equipment in the Industry. It is our belief that high quality equipment will produce the highest level of clean. Clairity is a quality over quantity company and we will always take the time to do a good job. Clairity offers flat rate prices and a ‘No Hidden Fees’ policy, which means you will never pay extra vent charges. We are fully insured and WETT Certified. All of our work is backed by our 30 day Clairity Quality Guarantee. Great service. They called me within an hour of emailing them, and booked an appointment with me right away. Showed up exactly on time and did a great job cleaning the chimney. Highly recommend. Very reliable hard working and a great company. Very pleased to have clean air. Will recommends to family and friends. Thank you so much for checking the dryer vent and cleaning it. The fire hazard was there and now it is not. Our furnace and ducts are wonderfully clean. Clairity offers clear up-front pricing, with no hidden fees. Our furnace and air duct cleaning service is all inclusive, there are no per vent charges. We do offer “add on” services above and beyond the standard air duct cleaning, but we can discuss those with you before booking. We believe that the best tools and equipment produce the best quality of clean. Clairity is not satisfied with anything less than the best. How long did your last duct cleaning take? We will never take shortcuts or rush through a job just to get to the next one. A proper air duct cleaning takes time and attention to detail. We only clean 2 houses per day to ensure we have time to do the job properly. 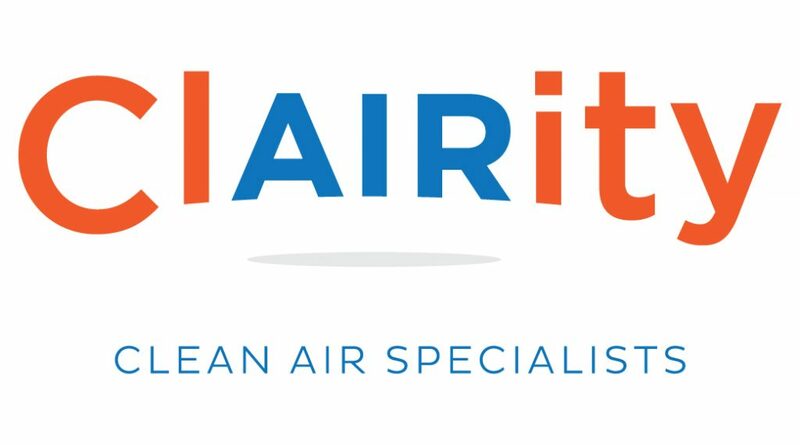 With expertise in both air duct cleaning and WETT certified chimney cleaning, Clairity gives you the opportunity to save money by getting it all done in one appointment. Take a live look into the air ducts during some residential cleanings. 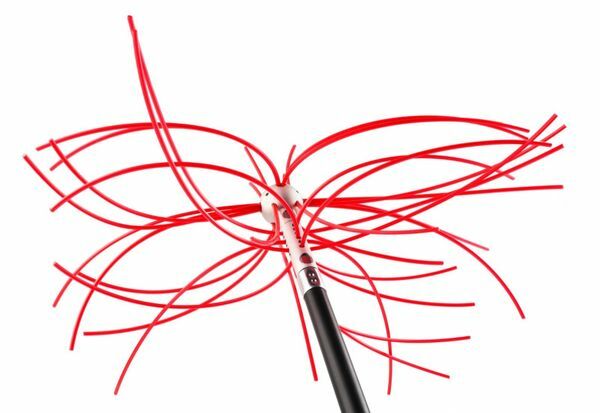 Our predator whip annihilates dust and debris! Years of dust, pollen, mold, bacteria, hair, pet dander and skin follicles could be hiding in your air ducts. This greatly reduces the air quality in your home and can cause health problems. 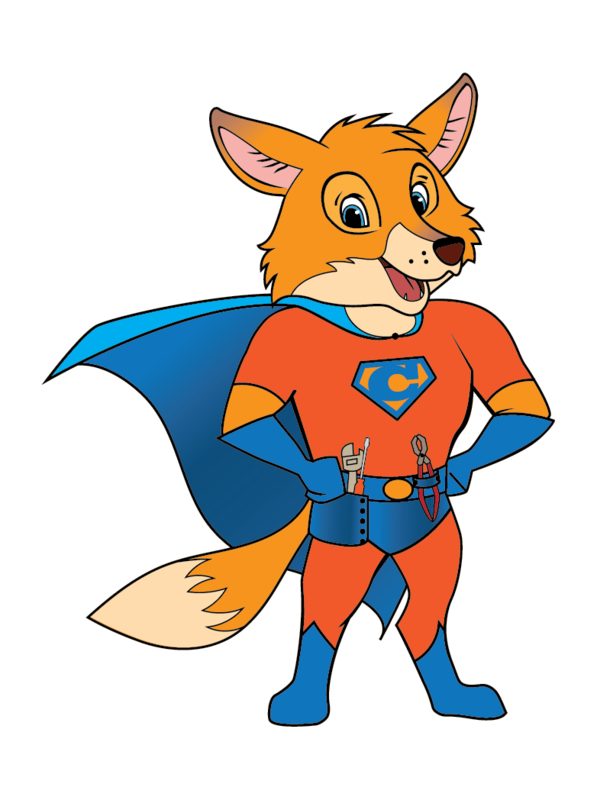 “For years there has been companies cleaning air ducts, but the customer never really knows that they are truly clean. 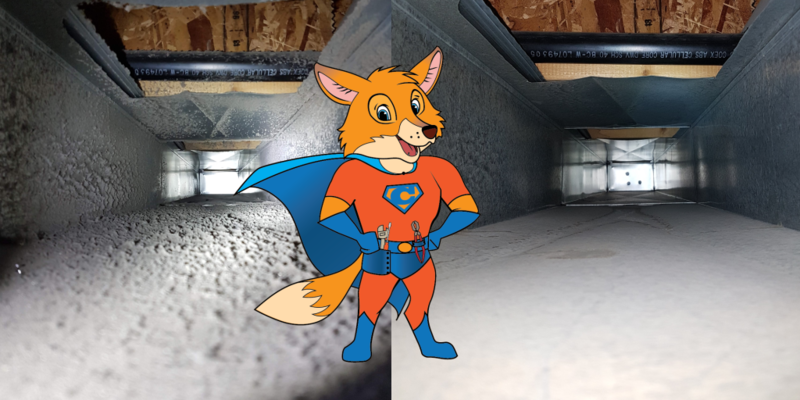 Most companies clean air ducts blindly, they only cut one hole on each side of the furnace, and they try to pull all the dust out through those holes. They do not inspect what they clean, take photos or videos. But without inspecting your work, how are you to be sure it was complete? The customer is trusting that company to do the job properly, and some companies can complete a cleaning very quickly. I have worked for several of the well established companies on the island, and they all clean the same way. Don’t be fooled by companies offering you a discount on air duct cleaning. If they are only spending an hour and a half at your home then maybe its not such a good ‘deal’ afterall. Ever since there have been chimneys, there have been people sweeping them. But times have changed and so has the technology. At Clairity, we arn’t your old fashioned chimney sweeps using an old wire brush. We only use the latest in chimney sweep technology, snaplok rotary power sweeping. With a variety of different brush heads, cable whips and chain whips we guarantee your chimney will be far cleaner than it would be with an old wire brush. Worried about mess? We have got you covered. We seal off your fireplace and use 2 stages of filtration on our vacuum to ensure that we leave no trace. We specialize in cleaning, so you can have a stress free chimney sweep experience. Every home has a clothes dryer, but not many people think about the danger they can pose as a potential fire hazard. Each load of laundry you dry creates lint and the lint screen can only do so much to stop it from entering the vent. It is important to have your dryer and vent cleaned and inspected at least every couple of years. We also offer group discounts on dryer vent cleaning for stratas, condominiums and townhomes. Please call us for a free estimate or to arrange a site visit. Communities we service: Greater Victoria, Cowichan Valley, Lake Cowichan, Shawnigan Lake, Cobble Hill, Mill Bay, Ladysmith, Crofton, Chemainus, Nanaimo, Parksville, Qualicum Beach.